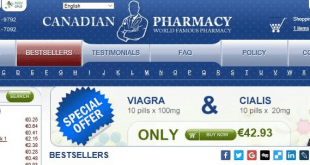 RxPharmacyUSA.net is an online pharmacy that markets quality and effective medicines worldwide. It provides a safe alternative to expensive conventional medicines. Patients who have difficulties procuring their medications can conveniently access RxPharmacyUSA.net because this online pharmacy promptly delivers the medicines at their doorsteps without having to go to a doctor for consultation. RxPharmacyUSA.net complies with FDA rules and regulations for shipment of drugs for the personal use of the patient. The products are manufactured and certified by EU approved pharmaceutical companies. Upon the approval of the customer’s physician, and when proper billing procedures are in place – RxPharmacyUSA.net will ship the medications to the client’s mailing address. However, in the event that the patient’s prescription is not approved by the doctor, the consultation will be free. The client will be guided with the ordering process with ease without having the hassle to leave home. RxPharmacyUSA.net advises its clients to seek the advice of the doctor when taking any new medications, as this pharmacy is offering this measure to its customers not as a substitute for regular examination and common healthcare procedures. 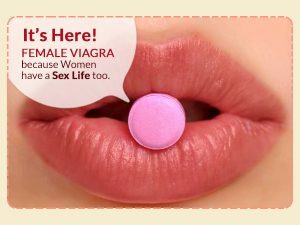 RxPharmacyUSA.net customers are also advised to keep in mind the product information, dosage, contraindications and possible side effects, if there are any, of the medicines they purchase online. Many legitimate sites can be found on the internet which can be a good source of information. RxPharmacyUSA.net charges a flat rate of $10.50 for the shipment of its products for all destinations and sent through Regular Airmail Service. Although it is recommended that in order to attract more clients, the free shipping policy should be enforced and should also offer special promos and deals on its products. No reviews were found online about RxPharmacyUSA.net. ScamAdviser.com found out that this one year old online pharmacy store could be illegitimate, based on the details provided by this online pharmacy, which have been reviewed by some trusted websites. Some of the reasons are that the owner’s identity is being hidden and the company’s questionable dealings they have with other countries does not create a good customer confidence in the company. Customers should be careful and research more about the company information before deciding to purchase in this site. RxPharmacyUSA.net has been visited by some online shoppers but it is unpopular in the social networking sites and does not share any links on Facebook or Twitter. The fact that RxPharmacyUSA.net hides the owner’s identity and details.This is a method used by fraud sites to prevent spam mails. RxPharmacyUSA.net is listed as a ROGUE pharmacy. This may be because of suspicions of fraud by this website or violation of federal/state laws or violation of FDA rules and regulations. Website is a scam, got ripped off. No cust. Service whatsoever. Stay Far Far Away!!!!!!!!!!!!!!!!!!!!!!!!!!!!!!!!!!!!!!!!!!!!!!!!!!!!!!!!! !